If you start thinking about remodeling your kitchen, it seems people come out of the woodwork to tell you their own kitchen remodel horror stories. A pipe broke and water flooded the entire kitchen. The contractor took 5 months longer than expected, and charged three-times the original estimate. Unfortunately, the list of possible kitchen remodeling mistakes goes on and on. Thankfully, you don’t have to suffer the pain of an overly expensive or downright hideous kitchen remodel disaster. We are here to help, letting you in on the 6 most common kitchen remodeling mistakes, all so that you can prevent them from happening to you. Fearful you’ll be thigh-deep into your kitchen remodel when your contractor splits? You can avoid flaky contractors by sticking with trusted names in the industry that have developed a reputation and a real business. If you can’t find your contractor online, he might go missing before your granite slab is fully installed. Ask for references, and then ask these references the right questions. Was the project completed on time? Was the work clean, the construction team respectful? Did the project stay around budget or go way over the top? Were there any problems, how did the contractor work to resolve them if yes? You can also ask the contractor all of these questions as well, although the most honest answers are going to come from recent references. You can also ask to visit them on site at a current job (if possible), or take a look at photos of their most recent work. Planning for every last expense before you start your kitchen remodel is a task in itself. You always want to plan under budget, because chances are it will go over. If you plan under budget, you have far less to worry about. On the other hand, if you plan to stretch every last penny, you could easily end up in the poor house. 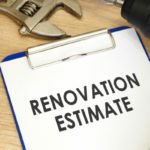 A great way to take some of the mystery out of how much your kitchen remodel is going to cost is to skip out on major renovations whenever possible. If you can avoid demolishing a wall or moving the kitchen sink 5 feet to the right, do so. 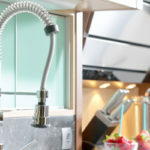 The biggest kitchen remodeling disasters often arise because once walls are busted open; pipes can become compromised along with electrical outlets. Don’t settle for fluorescent lighting, it changes the color and appearances of things with its unforgiving blue tint. 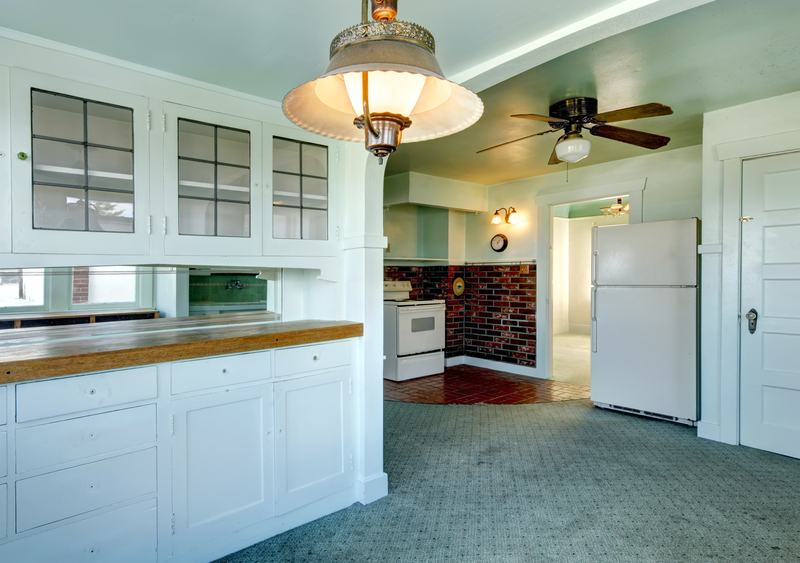 For kitchens, halogen lighting is a great option, as it is the closest indoor lighting to mimic daylight. 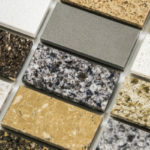 Even if you have great kitchen lighting, materials will look different in the catalog or at the store, that’s why it’s so important to bring your samples home before making any final decisions. The lighting, surrounding surfaces, and even ceiling height can impact how something looks, it’s best to play it safe and over-think everything. Don’t forget about the storage! You can never have enough of it. Sacrificing cabinet space for a decorative element happens often, but rarely is it a choice people are happy about later. Without adequate space to store everything, your kitchen will quickly become cluttered and disorganized. If you want to love your kitchen today, and 10 years from now, adequate (and functional) storage space should be a top priority. So you got a little bit happy and started buying all sorts of different things—thinking, well who needs to match in 2014 anyway? Well to a certain extent, your kitchen does need to match, or at least have a cohesive style. You want to coordinate your appliances, if you start to fix and match styles, colors or even textures your kitchen will begin to look uncoordinated, and a bit of a mess. Everything doesn’t have to be exactly the same, but the same underlying style or color theme is important to maintain a design that flows well. If you draw out your own architectural plans, problems are likely to arise. You might feel like you’re saving money using your measuring tape and pencil, but this could cost you a lot of money if miscalculations mean work has to be ripped up and readjusted. According to This Old House, having a 3-D model of your kitchen architecturally created using special software by an expert might cost some money up front, but it guarantees that the job is done right the first time around. 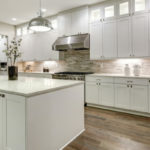 Allow the experts at Tops Cabinet to help you score the kitchen of your dreams, and avoid any kitchen remodel nightmares!